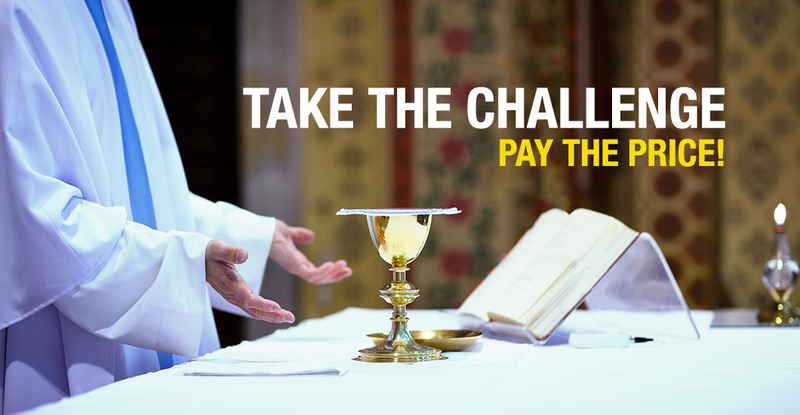 Take the Challenge :Pay the Price! My wife and I bought this wonderful DVD, “The Greatest Miracle,” an animated movie about the mass. In one scene during the offertory, beside each person attending the Holy Mass stands his/her guardian angel. When the offertory begins, some of the guardian angels are able to fly toward the altar. Others remain standing with a very sad expression on their face because their appointed one is not offering any prayers. Those angels have nothing to place on the altar with the bread and wine. How many times have I been disengaged from what is happening at mass? By doing this, I have not allowed God to find me in the most powerful setting in history, the Holy Mass. How often have I disheartened my guardian angel? In Samuel 2:24, we read about Araunah trying to offer his oxen to King David for burnt offerings and the threshing sledges and yokes of oxen for wood—all for free! He did not want any payment from King David. David says, “I will buy it from you at the proper price, for I cannot sacrifice to the Lord my God burnt offerings that cost me nothing.” My attitude at Holy Mass is often very different from that of David. He pleased the Lord by offering a sacrifice that cost him something; I often go to the Holy Mass and do not offer anything, thus participating in a sacrifice that costs me nothing. What should I offer that will cost me? Jesus reminds me of His sacrifice on the cross. The whole world seemed to be against Him, insulting and cursing Him, and He suffered greatly. A human temptation would be backlash toward those who persecuted Him, shouting back in anger or keeping silent and saying nothing, yet holding the anger inside the heart. Jesus resisted this temptation. Instead He prayed “Father, forgive them for they do not know what they do.” These words pleased the Father because the Son did not participate in a sacrifice that cost Him nothing but one that cost Him everything. Jesus was innocent and He chose to forgive. This is the payment God is expecting from me during the Holy Mass—to surrender my anger, frustration and hurtful feelings on the altar. I need to offer these at Holy Mass during the offertory and my guardian angel will burst with joy. When I offer up the negative stuff, I let God find me. At mass it is more difficult to offer to Jesus my hurt than money. Offering up my refusal to forgive those who have hurt me is what is really going to cost me. I became convinced of this when I meditated on Acts 7:54-60, which depicts the Martyrdom of Saint Stephen. In the profession of the faith, we proclaim that Jesus is seated at the right hand of God. In the account of Saint Stephen’s martyrdom, we read that as he is getting ready to be executed, he is filled with the Holy Spirit. In a vision he see the glory of God and the Son of Man standing at the right hand of God. Saint Stephen, filled with an unconditional love for God, sees an image of heaven as he is going to die. He sees Jesus, the Son of God, standing up. Jesus is cheering him on, probably clapping his hands and urging him toward the finish line. What a wonderful picture. It is probable to assume that Jesus’ eyes are fixed on his beloved servant Stephen or that they are looking into each other’s eyes. In verse 58, a young man, Saul, enters the scene. He is the one persecuting the church. Let us hold that thought and come back to it. In verse 59 it states that as they were stoning Stephen, he called out, “Lord Jesus, receive my spirit.” Have we heard the words before? Luke’s gospel tells us that Jesus uttered these same words on the cross: “Father, into your hands I commend my spirit” Jesus then breathed his last. When Stephen said, “Lord Jesus receive my spirit,” the Bible does not say he immediately took his last breath. Stephen, after seeing this great vision of Jesus standing up for him, was excited to get to heaven. Jesus was crucified, Stephen was stoned. Stephen follows the formula. He says, “Lord, receive my spirit,” yet his spirit does not leave his body; he is still alive. Why? This is when Stephen looks at the face of Jesus again and comes to a true understanding of divine mercy. As he is being stoned, Jesus is standing up and cheering him on, clapping His hands, yet the eyes of Jesus are not fixed on Stephen but on Saul. When Stephen focused on the face of Jesus, he realized that Jesus was looking at Saul with extreme compassion. There was no anger, no disappointment, only a radical love on Jesus’ face. Stephen then realized the difference between himself and Jesus. Stephen was in a hurry to get to heaven and said, “Lord, receive my spirit,” skipping over the prayer Jesus had made before He offered His spirit—Father, forgive them for they do not know what they are doing. Stephen realized he was offering a sacrifice that cost him nothing. Jesus is divine mercy. We have a Savior who looks kindly on the very people that crucified Him as He was taking His last breath. Jesus wants the people who crucified Him to be with Him forever in eternity. This is the nature of divine mercy. In today’s society, our merciful Savior looks with compassion on the perpetrators of crime and murder, in the hope of redeeming them. Does this action of Jesus bother us? Saint Stephen is not a saint today because he was stoned for his faith in Jesus. In Saint Paul’s discourse on love he says that “if you hand your body over you may boast, but have not love, you are nothing”. When Saint Stephen did not die as expected and looked at the face of divine mercy, he understood the hidden desire of the sacred heart—Jesus was excited that Stephen was coming to heaven. He would be very happy if Saul, the murderer, also made it to heaven. Divine mercy is extending an invitation to Stephen—will you pray the prayer of forgiveness as I did on the cross, for all of humanity? Will you pray the prayer of conversion for souls who are perishing? Will you intercede on behalf of those who are ending your life? It is at this point when Stephen understands the unfathomable love of divine mercy. His sincere response, “Lord, do not hold this against them,” got him over the finish line into heaven. When he forgave those who were stoning him, his sacrifice became pleasing to God because it had cost him. He paid for it by surrendering the anger he held toward those who were hurting him. This prayer is what made him a Saint. The Bible says that after he prayed this prayer he fell asleep. Let us ask ourselves again, does this action of Jesus bother us? Is he showing us less love by looking with compassion at those who are persecuting us and making us suffer? I do not believe so. I think we should interpret this attitude of divine mercy in this manner: God places much value, and regards very highly, the prayer of forgiveness, the prayer of conversion and the intercession we offer on behalf of others. He responds when these prayers come from our hearts because he loves each of us and sincerely desires all to be with Him in heaven. It is very hard to pray for those who are persecuting us. Can we pray sincerely that they might also get to heaven? God can do something with the little we offer. If we ask Him He will help us pray, with all sincerity, for the conversion of sinners. This response to divine mercy will help us get over the finish line of our lives to meet the Savior in heaven. This is what will make us Saints; this is what made Stephen a Saint. Lord Jesus, help me to allow you to find me every time I attend the Holy Mass or pray. Help me to surrender all that is negative inside of me, so that I am offering a worthy sacrifice that costs me dearly, along with Your sacrifice. Since this is pleasing to the Father, I can truly receive the graces of the Eucharist and rejoice with my guardian angel. Amen. We hear this question a lot. Where is God? 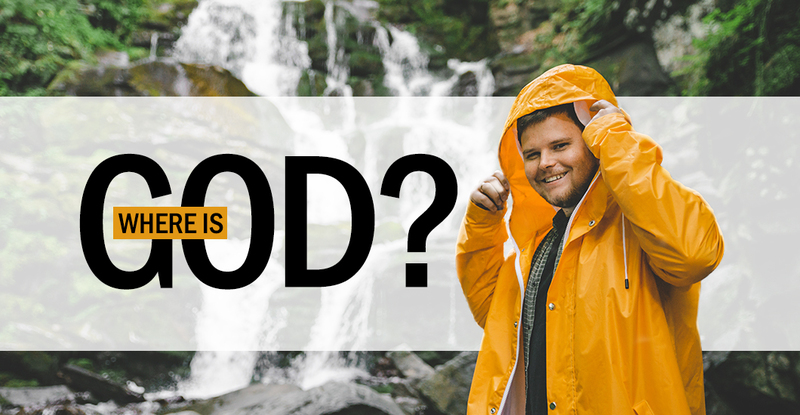 Where can you find God? Can you see Him? Do you know His address? Can you hear Him? Then, how do you find God? The answer comes in the form of some other questions: Is it possible to stand in the rain and stay completely dry? Is it possible to jump into the ocean and not get wet? Is it possible to hold a very hot plate without getting burned? The answer is yes! If you cover yourself with a very good quality rain coat, then you can stand in the rain without getting wet. If you jump into the ocean with the right gear, then you can come out completely dry. You can pick up a hot plate without getting burned if you have the right gloves. We cannot really question the wetness of water or the power of heat in these scenarios. Similarly, we cannot question the presence of God around us if there is something separating us. What did Jesus say about this? Jesus simply said, “… I am with you always” (Matthew 28:20). Jesus is saying that He is with us always and everywhere. Jesus also said, “Ask, and it will be given you; seek, and you will find; knock, and it will be opened to you” (Matthew 7:7). For a long time, these words did not make any sense for me. How is this possible? Why am I not able to always find Jesus when I seek Him? If He is with me always, then why am I not able to find Him? A simple story in the Bible explains this. Jesus was walking in the crowd where people were pushing and pulling him from every direction. Then Jesus asked “… Who was it that touched me?” (Luke 8:45). It does not make sense; what kind of question is this? People, who were meeting Jesus for the first time, probably thought He was crazy. Yet, no one had the courage to ask Him. Peter politely asked Jesus, “… Master, the multitudes surround You and press upon You” (Luke 8:45).” Jesus clarified, “Someone touched Me; for I perceive that power has gone forth from Me” (Luke 8:46). Apparently, it is possible to be in the presence of God without experiencing His healing. One of the ways we can experience Him is to follow the example of the woman in the story. When I read this, I understood a couple of things. 1. She was scared to come out because she did not feel worthy of receiving Him. She approached Jesus with repentance and humility. 2. She had faith in Jesus, for she said, “If I touch even His garments, I shall be made well” (Mark 5:28). This means if we repent of our sins and approach Jesus with faith and humility then nothing can stop us from experiencing Him. Even Jesus does not have a process in place to stop it. You can see in this example that the woman was healed instantly. What a simple but powerful event, where Jesus gives this much authority to our hands. Remember that the next time when you approach Jesus during prayer or Holy Communion, the heavens are wide open. God’s love, mercy and healing are flowing regardless of who you are or where you are. Take off that raincoat by approaching Him with repentance, humility and faith. Then, nothing can stop you from getting soaked in the presence of God. I have a great prayer intention. Before I offer it up, I check out every angle as if I am purchasing a used car. The tires are sound, because this prayer is absolutely not about me. In fact, it is the most selfless prayer I have ever uttered. It will get great mileage. If answered, this prayer will bring many people happiness, joy, relief, conversion. What is not to love about this intention? There is a catch. I have forgotten to look under the hood and ask, “But is it God’s will?” There are atheists and anti-Christians who would leap on that question. Aha! If it is a great intention and God does not answer it, it must be because He does not exist. At the very least, He is a mean God, one who would allow children to get cancer. Since God is love, it would be impossible for Him to be mean, and I have seen proof of His existence in my life. Still, why would God find fault with such a great prayer intention? The answer is because He wants the greater good, or the good of us all. While I am looking at an isolated need— isolated by the fact that I am human and can only see a very small portion of the big picture—God IS the big picture. He sees not only my limited world-view but the intricate way everything I am looking at touches situations I am not aware of and people’s lives I would not even know to consider. There was an obvious example in the news, a situation where a good man was under attack by ideologists. It was a crazy situation and one that seems unbelievable in more ways than one. The obvious prayer is for protection for this man, that God help him prevail over his attackers. What if, through that man’s suffering, God can bring about the conversion of his attackers? Since God cares about every soul, I can see which would be His priority, can you? It is possible that one of those converted souls may become a modern Saint Paul, bringing many people to Jesus. If you think that means we should not pray or be specific with our prayers, that is not where I am headed. Instead, my example is a call to Trust. I should pray for the man, but at the same time, I should leave it in God’s hands, because God sees the big picture. I offer my prayers with the caveat that His will be done, and I do this with complete trust that He will bring about the greatest good. Usually, it is something far greater than I have asked for. If you begin to pray in trust your entire life will change. When challenges come, you will be confident that there is a good that will come out of each situation, even if you do not get to see it. You will stress less, and you might even become excited to see how God is answering your prayers in amazing ways that you had not anticipated. The point is, we do not know God’s will. It is bigger than anything we could imagine. Sometimes our prayer requests fall in line with that will, but sometimes they do not. If you learn to trust His will and let go of controlling the outcome, then you will discover that every prayer is answered and every answered prayer is for His glory. When I first heard the story about Pentecost in the Acts of the Apostles (Acts 2:1-4), I thought, “Well, that’s cool, I guess. Good for them, with all those flames above their heads and the Holy Spirit stuff.” That was my reaction for a long time, anyway. I knew the Holy Spirit, the third Person of the Trinity, was real and that He gave the Apostles courage to do really intense evangelizing. Yet I never thought much more about it than that. Oddly, in everyday conversation we Catholics do not talk very much about the Holy Spirit and who He is. Jesus we understand better; the Holy Spirit, less so. 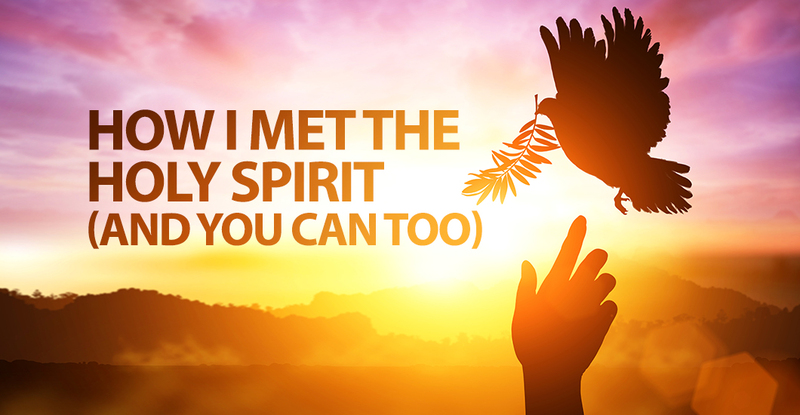 Any kind of talk about the gifts of the Holy Spirit just weirded me out, until I met the Holy Spirit as a real person … and He did something very similar in me. Without getting into every detail of what happened, I will give you the nutshell version of my experience: I went on a retreat in college called “Fan into Flame” (I ended up going on four of them), which was focused on encountering the Holy Spirit in a new and deeper way. As we got into who the Holy Spirit was on this retreat, I was uncomfortable at first. Throughout the retreat, I found myself opening up a little more, despite my discomfort. As I came to understand how the Holy Spirit works in our lives and grew more comfortable with worshipping God through song throughout the retreat, the idea of surrendering my life to Him in a deeper way did not scare me as much. At one point during the retreat, our small groups prayed together to intercede for each other for particular requests: to be freed from things that kept us from God, to receive the Holy Spirit in a deeper way or to receive His gifts. I do not remember what I prayed for, but I do remember that, as I was being prayed over, I had this gentle urge to rest, to just let go. I experienced an overwhelming peace within me that resonated through my body. I could not stop smiling because I could not contain the joy inside me. It was bursting! Words fall short when I try to communicate what this experience actually was. All I can say is that I met the person of the Holy Spirit in that moment. When I stood up after what felt like hours, the time of prayer was over and, from what I could tell, almost every soul in the room had experienced the same thing I had, or at least something very similar. We had each experienced our own Pentecost. This it was not just a one-time thing, though. Since that first encounter, on other occasions I have experienced the Holy Spirit in powerful ways, and I experience Him in a quieter way on a daily basis. Pentecost was a real thing. The Apostles receiving the Holy Spirit was a real thing. But this outpouring of the Holy Spirit was not just for the Apostles. We were all meant to receive the same thing. We are all meant to know Him, to walk with Him and to receive the graces we need for our daily lives from Him. We all receive Him at baptism, and then again in a deeper way with the sacrament of confirmation. But often, the potential for the graces we could have lie dormant until we give Him the permission to come into our hearts. So how you can you encounter the Holy Spirit in a deeper way and experience a more profound outpouring of His gifts in your own life? 1. Pray to the Holy Spirit. 2. Listen to promptings/inspirations when they come. Sometimes you will sense urges to do something you might not have thought of yourself. This is called an “inspiration.” The way to tell when it is the Holy Spirit’s inspiration is that it is always something good and it is usually something you would rather not do. See Acts 9:10-19 for the perfect example of that. None of us will ever perfectly follow inspirations. But the more we do it, the more they will come. Listening to and obeying the Holy Spirit is how we grow in holiness. 3. Stick to prayer and the sacraments. If you want to get closer to God in any way, this is pretty much the way to do it. The more you do stay close to prayer and the sacraments, the more you will notice the Holy Spirit in your life. 4. Pray to be freed from any lies or attachments that are keeping you from experiencing the fullness of the Spirit. Simply put, our sin, attachments or the lies we believe against God or ourselves can keep us from experiencing the Holy Spirit in a more meaningful way. It is powerful to pray to be freed from these things, but it is not a game of hide and seek. You do not have to be digging around asking yourself, “What’s wrong with me? Why don’t I feel close to God?” (How many of us have done that?) Simply ask God to reveal what He wants you to be free of, pray with that and trust He will free you of it over time and give you more of Himself. 5. Know that the gifts (and fruits) of the Holy Spirit are for you. Ask for them. God gives us spiritual gifts for the edification of the Church (I Corinthians 14:12), to build up the Body of Christ in love and unity, “that God in all things may be glorified through Jesus Christ” (1 Peter 4:11). You can pray to receive greater gifts. The gifts of the Holy Spirit are knowledge, counsel, piety, fortitude, fear of the Lord (awe), understanding and wisdom. The fruits of the Holy Spirit are love, joy, peace, patience, gentleness, generosity, kindness, goodness, faithfulness, modesty, self-control and chastity. Experiencing the Holy Spirit might not be a crazy, emotional experience for you—so just because you do not sense Him moving you emotionally does not mean He is not at work. Our emotions are not the point. It may involve them, it may not. The point is for us to grow closer to Him and to be open to Him moving in us and through us in our daily lives. The Holy Spirit is for you, today. As Jesus did for the Apostles, you can trust that He will always be with you and in you all your life by your baptism. In my day, if I wanted to increase my tennis prowess I would watch Chris Evert Lloyd’s moves on the court. When my mother cut my hair in the iconic “Dorothy Hamill” pixie, my whole world revolved around the dream of being an Olympic skater. I watched her every skating competition, eager to pick up even the tiniest trick to hone my skills. For the record, my moves were ample for the make-believe Pond Capades but never truly worthy of the hairdo. After it became quite apparent that sports were not my ticket to riches and fame, my attention turned to music. I spent hours, hairbrush microphone in hand, trying to emulate Toni Tennille and Marie Osmond and later Pat Benatar and Madonna! I watched every video and never missed an interview, trying to figure out how they mastered their art and rose to stardom. What piqued my attention to these women? There were experts. They had reached a goal I could only dream of achieving, so if I wanted to get there as well, it made only sense I would need to turn to them achieve it. My goals have shifted slightly since the 1980s and I have not given in to a culturally driven hairstyle since “The Rachel.” My simple objective now is to know Jesus, to follow His ways and to help lead others to Him. The skills, knowledge and disposition of the heart required to achieve this end is clearly embodied in one woman, one Jesus expert, His and our mother—Mary. Unlike the role models from my childhood, Mary illustrates more than just one specialized skill set. By contemplating how she responded to the circumstances of her life, I can discover many virtues and behaviors that can bring me to heights no singer, tennis-playing- or skater-champion ever could! There is no courage without fear. True courage is persevering with the task before you in face of your trepidation. This is the one thing I NEVER realized Mary would have had to embrace. I figured, her son was Jesus. She had all that grace to keep her from being worried or afraid. To me, if an angel appears to you and gives you a message from God then you have to know you are kind of special, so what is there to fear. In removing her humanness from all my pondering of her life, I missed the beauty of all she has to teach me. When I realized she had MUCH to be fearful of—beginning with not being stoned to death due to her “seemingly un-explainable” pregnancy, moving onto a king determined to slay her newborn baby and being present at the risk of her own life at the crucifixion of her son. Yet, her faith was unwavering. How, in light of all that, could I not turn to her during my own needs, to teach me how to be courageous in the trials of my own life? Where do you need Mary to teach you to be heroic? Young Mary had just received the most incredible news of her life, really in the history of the world. Unlike me, she did not sit around in shock pondering how crazy and yet awesome it was to be chosen by God and wondering if this was actually happening. She did not head to the town well to spread her good news. Mary, upon hearing her older cousin Elizabeth was with child and needing help, packed up her donkey and headed out of town. Compassion is the care and concern for another. The ability to see a need and then step up to assist with it. During the long, hot, difficult trip, her own discomfort and, yes, even perhaps her own morning sickness and swollen ankles, Mary pushed through all of it to come to the aid of another. Humble and pure of heart, her love for others is present throughout scripture—protecting the bride and groom from certain embarrassment at the wedding at Cana was at the forefront of her thoughts and, more importantly, her actions. Where do you need Mary to teach you to not only see where assistance is needed but also the heart to act on it? One minute you are looking at cute dresses for Easter, the next your daughter is NO where to be seen. For most of us, this feeling of panic lasts only a few seconds until she emerges from the clothing rack next to you. For Mary, this horror of searching for her missing son lasted three days. 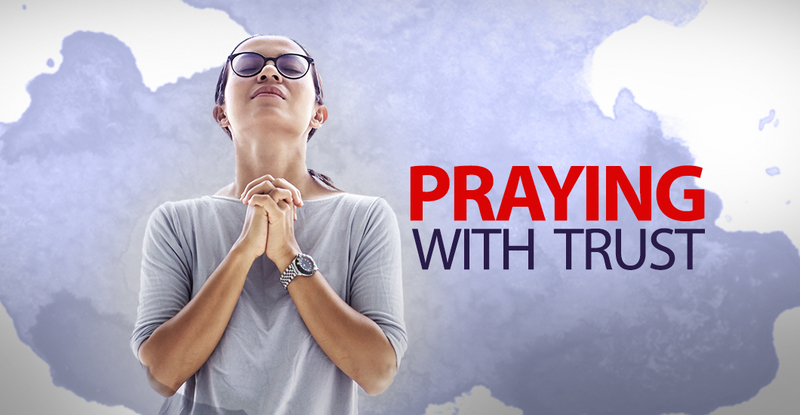 Throughout those long days of travel and seeking Jesus, she put her trust in God; to have any peace she had to believe that regardless of the outcome God was in control. Furthermore, Mary would have known the Psalms and the promises sung by David, including these words from Psalm 37:5: “Commit your way to the LORD; Trust also in Him, and He will do it.” Mary had already lived these words as Simeon foretold of her son’s future and the sword that would pierce her heart and again, even more powerfully, when she would gaze upon her son on the cross. There is no one more committed to His ways than she. If I want to surrender myself humbly to the will of God and do so with trust and hope then Mary’s example is the one to follow. 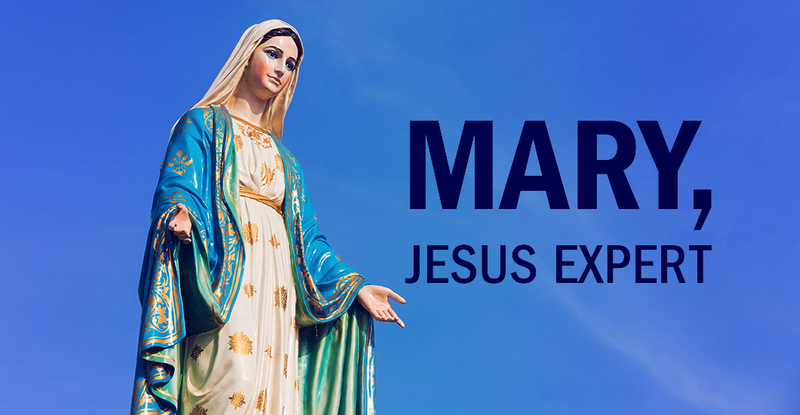 With what current situation do you need to put your hope in God and trust like Mary? ◗ they just confirmed their cancer is in remission. Google defines joy as “a feeling of great pleasure and happiness” and basically asserts that joy is a simple emotion, such as being angry, happy or sad. If this is indeed true then living joyfully depends on the presence of a circumstance that invokes happiness, relief or the absence of distress. However, for Christians, joy is much more than a fleeting emotion. Instead, Galatians 5:22 lists joy as the second fruit of the Holy Spirit, meaning that joy is a gift we receive from God through the Holy Spirit. There is a “but” here. Just because joy is a gift we receive, it does not mean that our role is purely passive. Joy is a gift we can seek out and a gift we can dispose ourselves to receive more readily and more consciously. 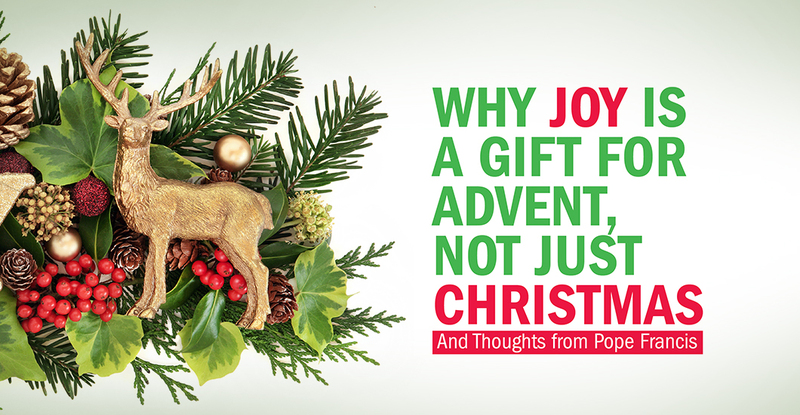 Is Joy Just for Christmastime? It is easy to associate joy with the Christmas season—the uplifting music, sparkling decorations and remembrance of Christ coming to earth make our “tidings of great joy” as natural as a snowy Christmas in New England. Advent is a little tougher and external circumstances do not help. During this period, we have presents to buy, a home to prepare, extra food to make, short days with more darkness than sunlight, deadlines to meet before vacation (or exams to study for) among other things. Spiritually speaking, the liturgy emphasizes humble recognition of our fallen state, poverty of spirit, penance, preparation and the ache of waiting for the Savior to come and redeem our wounded and dirty souls. This might not seem to be the most natural canvas on which to paint a picture of joyful living. According to this reflection, joy is a fruit that comes from God’s love and the faith and love we strive to practice. This means it can touch us in any moment, regardless of what chaos swirls in or around us. One conviction I believe we can take from these reflections is that joy is less of a single act or moment and more of a lens through which we can view every situation we encounter in life, regardless of the immediate, inescapable sentiments and circumstances. Put in this light, joy can most certainly permeate our liturgical and personal seasons of Advent just as much as those of Christmas. But, as with all good and difficult things, it takes time and practice. How can we form ourselves to be more active, conscious recipients of the grace of joy, especially when external circumstances are more likely to lend themselves to stress, fatigue and suffering? Here are some tips. Ask God for the particular grace to receive His gift of joy more actively and consciously in your daily life. 2. Immerse yourself in good examples. Ask advice from, and surround yourself with, people who are visibly living in a true spirit of joy. You can glean wisdom from the lives of the saints or from family, friends and mentors. 3. 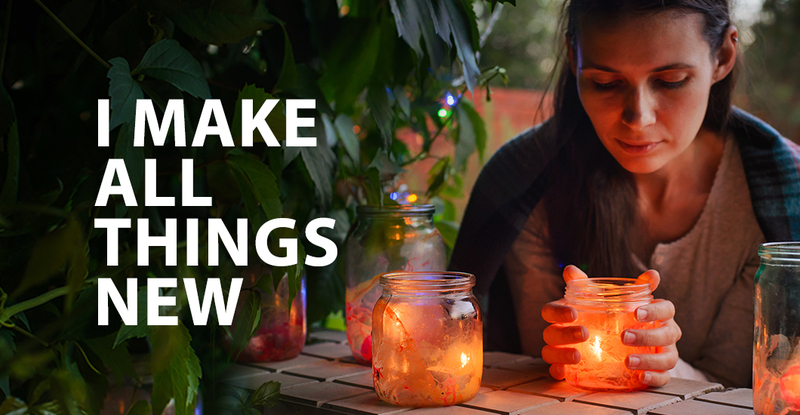 Make small acts of love. What are you looking for? What do you desire? Are you happy? No matter who you are, these are questions every person ponders. No matter what your race, gender, socio-economic status, or belief about life, death, or what happens thereafter; if you are human, we share these questions in common. None of us can escape the expectation that our lives are supposed to make sense and satisfy us deeply. Even the most jaded reader has felt the pain of disappointment when life did not feel like a story that was leading to something meaningful. You cannot always articulate it, but you have surely had the feeling. Think for a minute about the last time that you invested in watching a movie or reading a book that let you down. It is even worse when you get to like the characters, or the settings, or even elements of the plot. You are left frustrated by how the author or director wasted the potential that was already there. It could have been better, you think. It should have been better. A good ending can save a story. A bad ending, no matter how good any single part of the story is, will ruin the whole experience. What is true in big screen stories is also true about our life story. Deep down, we have this sense that our lives are meant to have a happy ending. Our relationships with friends, family, work, food, money, etc.—all of it is meant to be a part of a bigger story. No matter what happens on any given page of the story, if we know that there is a happy ending waiting, if we can trust that the author of our story knows what He is doing, then we can see our way from one chapter into the next with hope. Some of us live life trying to avoid those questions at the beginning because we are afraid that there are no real answers. It can feel like a world of endless opinions and marketing tricks. A world full of salesmen and nothing that is worth buying. So we can live day-to- day, engaging in the hard work of distracting ourselves with pleasure to avoid pain, with soundbites to avoid searching, with stuff to avoid substance. Yet, no matter who we are, the questions remain: What are you looking for? What do you desire? Are you happy? If our lives are like a story, there is nothing worse than to live life without knowing confidently how our stories will end. What happens at the end of a story not only makes a good story great, but it also makes painful and broken stories, beautiful, meaningful and powerful. 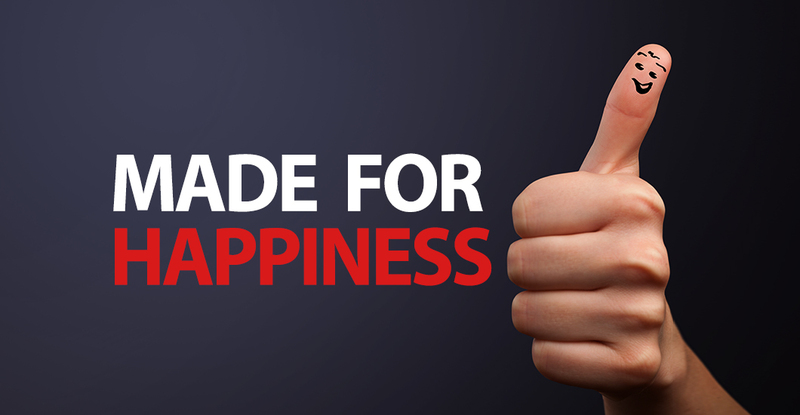 At a particular place and at a particular time, a man named Jesus stated not only why we are unhappy but also what will make us happy, forever. It is a bold claim, but it gets crazier. Jesus claimed that He Himself is the source of all happiness and that He wants to satisfy our deepest desires. He did not just claim this, He acted on it. He went out transforming lives of very broken people. Jesus spoke into each person with passionate interest, investment, and no agenda other than their own good, especially to those on the fringes of society—the diseased, abused, criminals, prostitutes, tax collectors, and more. Jesus’ whole life was driven by a desire to restore people to their deepest identity. He called out the very actions, thoughts, and lifestyles that kept them—and keep us—locked in a state of misery. He was not afraid to speak the truth that we so often do not want to hear. But the truth is that we do not want to hear it because, usually, the people who speak that way to us, do not really love us. They point out a problem, but leave us in guilt, shame, and in the end, they leave us alone when we do not become good. But that is how Jesus was different. He spoke in ways that no one ever had. He acted in ways that people never saw. His words were charged with power, love, and with authority. That is what everyone noticed when He was around. Authority: the word means “author’s rights.” Authority implies authorship. This is why when Jesus spoke, it was as if He was personally aware and intimately connected to each person’s story. He did not sit back and watch events unfold. Rather, He entered into them as if it was His duty. So, not only did He speak, but He healed the sick, raised the dead, and set people free from fear, grief, and pain in ways that were miraculous. That defied what our experience tells us is possible. He inspired everyone around Him to dream again about the impossible! So here it is—Jesus claimed to be God and then He set about doing the very things that a good God would do. This is why so many people followed Him. He changed everything. He healed their broken history and showed them the truth of their destiny. He still does this today. This is why so many people keep following Him still. He did this in my life. He invited me to look at what I was really searching for, for what I really desired. He invited me to be honest and authentic with my heart. He asked me to take a risk on Him. He wanted to convince me of who He is and who I am. He said that I am not just haunted by the desire to be happy, but I am actually made for it. He says the same about your life. This is not a sales pitch. This is an invitation to test your desire for real unending and unlimited happiness with an invitation to encounter Jesus Christ. He makes big promises, but those of us who have encountered Him and follow Him witness with our lives that He is good on His word. He is still at work, active, and still speaking into lives. He is still performing signs and wonders. He is still doing exactly the things that you would expect God to do. Sure, it is hard to trust and to follow Him. But take a look at the stories of people, real people, who have spent their whole lives loving Him, being loved by Him, and loving others the way He loves. I bet that you will see that nothing that they surrendered compares to what they have gained in following Him. I bet that you will see in their lives stories like yours. I bet that you will see that Jesus is the type of author who does not wait until the end for the story to get good. He can start on any page, including the one you are living right now. Jesus Christ, You said, “I came that they might have life and have it more abundantly.” I want to know if You are who You say that You are. I want to know if You can take my story and show me how You want to be a part of it, challenge it, transform it, and complete it. I ask You to forgive me and free me from anything that keeps me from living the life You desire for me. So for any and all sins, all those things that do not lead me to You, I am sorry. I give You permission to be the author of my life. I want to know more about You. Bring me to people and bring people into my life who can help me learn about You. Amen. If you said this prayer, I invite you to search for a copy of the Bible (in your local Catholic bookstore, online, on the Truth & Life app) and start reading the Gospel of Luke to learn more about Jesus. As you read it, ask questions, jot down notes, and record what happens. If we are open and make room in our hearts, God has a surprising way of speaking to us through the Bible. Also, to help guide you, find a copy of the “Catechism of the Catholic Church.” There is so much in there that will guide you forward. Starting in the Prologue itself, you will encounter a God who is very much a seeker—kind of like you and me. If you have started this journey and want a little encouragement along the way, you can reach out to me. There is nothing like getting to know God’s story for your life by hearing His story in the lives of others! Despite being a cradle Catholic, I never considered becoming a sister—that is, until the rat race got to me. Frankly, God was not my biggest priority while I climbed the corporate ladder. After graduating with a Bachelor’s degree in history and journalism, I was blinded by the allure of a glamorous, fast-paced life in network television in New York City, and I chased after a career in broadcast media. For three years I worked in areas ranging from production to research to multimedia news. I moved from job to job, working overnight and weekend shifts, holidays, doing whatever I needed to do to get ahead. As a result, my health and relationships suffered. Yet, God was still good to me. He gave me the grace to persevere through the difficult times and, eventually, my work conditions got better. I was able to spend more time with my family and friends and serve at my parish as a catechist. And that is when I identified a yearning in my heart for something more, something better. I was still a long way from sisterhood, however. Growing up, I had little contact with sisters. My family belonged to a Korean Catholic parish in northern New Jersey, where I attended public schools. Two Korean sisters served in our parish, and they spoke little to no English. Although I saw them around church, I could not relate to them and did not get to know them well. Nevertheless, the sisters from my childhood must have left an impression on me because when I started getting involved with campus ministry in college, I noted the absence of sisters at our Catholic center and on retreats; I wished there were some there. It was not a religious sister but my biological sister, Rosa, who inadvertently piqued my interest in religious life. While I was still working as a journalist, Rosainvited me to venerate the relic of Saint John Bosco when it was at Saint Patrick’s Cathedral in New York City as part of a U.S. tour. This was my first encounter with the saint who was a friend of the young and the poor and who had founded the men’s religious congregation the Salesians of Don Bosco, as well as cofounded the women’s religious congregation the Daughters of Mary Help of Christians, also known as the Salesian Sisters of Saint John Bosco. After patiently waiting my turn in line among thousands of pilgrims, I had my first encounter with Saint Don Bosco through his relic. As I touched the glass box that encased a life-size wax replica of his body, I prayed for guidance. Little did I know that a few years from then I would be entering religious life in the congregation he founded. My vocation discernment did not happen in a nice, orderly, logical fashion. I do not know if anyone discerns that way. God worked in mysterious ways over the course of three years, speaking to me through various people, events, places, and dreams. I was terrified at first that God might be calling me to be a sister! I had no idea what the vows of poverty, chastity, and obedience were all about. I did not want to give up the life I was living, despite the misgivings I was starting to have about it. Like most people, I had always dreamed of someday getting married and starting my own family, but the Lord gave me the grace to have courage and remain open. I thought it was my career that was causing this growing unrest within me. 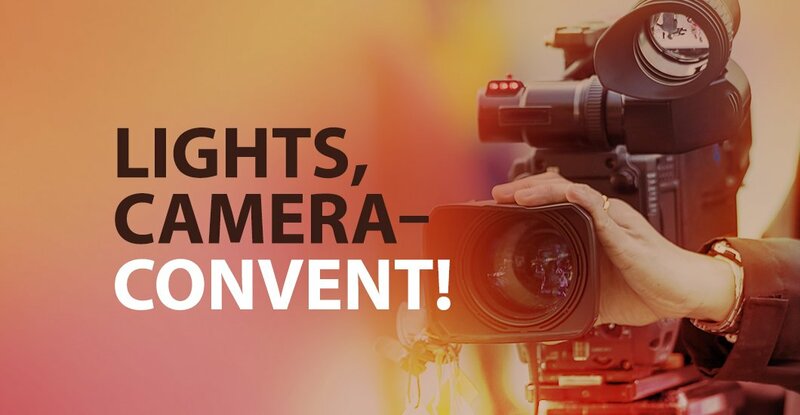 I prayerfully considered a career change and decided to leave journalism for a field where I saw greater potential to effect positive social change. With a desire to help communities through the built environment, I got a Master’s degree in urban planning. It still had not dawned on me that the hole in my heart could be filled by a religious vocation. Halfway through graduate school, I attended a “Life in the Spirit Seminar” hosted by a charismatic young adults group. During the “Baptism in the Holy Spirit” program of the retreat, I was touched by the Holy Spirit in a very powerful way. I felt the fire of God’s love burning in my heart and on my tongue. I felt my heart filling with great joy and peace. That seminar cultivated the seed of my vocation. I began to hear God’s call to live exclusively for Him. The call grew louder while I was on a church service trip to Haiti, one of the poorest countries in the world, which had suffered a devastating earthquake in 2010. For one week, we stayed and served at a nursing home facility for the homeless elderly of Croix-des-Bouquets, about a thirty-minute drive from the nation’s capital, Port-au-Prince. The facility was staffed and operated by consecrated religious men and women of the Korean congregation known as the Kkottongnae Brothers and Sisters of Jesus. These missionary brothers and sisters, most of whom were in their thirties and forties, were trained medical professionals who lived at the facility and took great care of the residents. I was fascinated by their life. They were some of the happiest, most authentic people I had ever met. Their life of love and sacrifice for others inspired me and challenged the way I saw the world around me. One night during a charismatic prayer meeting with the sisters and brothers of Kkottongnae, God said to me through one of the brothers there, “Go where my Light is.” When I heard these words spoken aloud, I began to sob uncontrollably because deep down in my heart I knew what that meant. God was calling me—now more clearly than ever—to follow Him in a radical way. I welcomed His invitation into my heart that night and I finally felt free. Upon my return from Haiti, with the help of a spiritual director I began to visit communities closer to home. I looked at the spirituality of each congregation more than its core work, and I asked myself if I could honestly see myself living the community’s charism and lifestyle. As I continued to pray and discern, God led me to the Salesian Sisters a month before my graduation. These sisters were gentle, joyful, and a whole lot of fun. They offered me friendship and cordiality, without pressuring me to visit them or enter the community, allowing me to decide for myself if and when I wanted to enter. During this time, my parents were very apprehensive about my desire to pursue religious life, with my father concerned that I was trying to escape the world and avoid responsibility for my expensive decision to go to graduate school. Many arguments ensued. He started to warm up to my decision after graduation when he saw how hard I was working—at multiple part-time jobs—to pay off my student loans. Additionally, God sent people to my dad to advocate for my vocation. Once he approved, it did not take long to win over my mom. God continued to send me little signs to reassure me that I was on the right path even during my application process to be accepted into the Salesian Sisters. When I retrieved my baptismal record from the church where I was baptized as a baby in Seoul, Korea, I learned that the date of my Baptism was January 31, the feast day of Saint John Bosco, one of our founders. I also learned that Saint Francis De Sales, the saint I had chosen for my Confirmation, was the patron saint of the Salesians and the source of its name. What are you looking for? What do you desire? Are you happy? No matter who you are, these are questions every person ponders. No matter what your race, gender, socio-economic status, or belief about life, death, or what happens thereafter; if you are human, we share these questions in common. None of us can escape the expectation that our lives are supposed to make sense and satisfy us deeply. Jesus claimed that He Himself is the source of all happiness and that He wants to satisfy our deepest desires. He did not just claim this, He acted on it. He went out transforming lives of very broken people. Jesus spoke into each person with passionate interest, investment, and no agenda other than their own good, especially to those on the fringes of society—the diseased, abused, criminals, prostitutes, tax collectors, and more. Today I met a man. He has got to be a foot taller than me. He has quite a few pounds on me as well and I am no longer the perfect size six I so want to be! I met this man at a grocery store about twenty minutes from where I live. Actually, to be more precise, I met him in the parking lot outside my grocery store or, to be even more accurate, I met him as I was leaving the parking lot. I pulled up in the lane next to his chair. I did not make eye contact. Seeing “those people” often makes me want to cry. The problem of poverty is so overwhelming! How could we ever hope to combat it? Even Jesus said the poor will always be with us. I am a struggling single mom of five boys. What difference can I make? I slowed as I pulled up to the red light. I was the only car waiting, and I was glad to pass this nameless man sitting in the median without having to stop by his side, without having to look at him. I reverted to childishly hoping that if I did not see him maybe he would not see me. I waited for the light to turn green. I thought of the turkey I had just asked the cashier to put back. I could pay for it another day. We are still on a tight budget and I buy only what I can pay cash for. I thought of the donations I had just made leaving the grocery store to the Stuff the Bus campaign which would donate food to Catholic Charities. The bag I handed over was not much, but I had literally just donated a canister of oatmeal, a box of pasta, and a bag of brown sugar. The brown sugar was not on the requested food list, but I felt like a bit of a rebel buying it and smiled, hoping it might help some family make Christmas cookies together this season. I had done enough, more than many would. If the veteran in the median needed help, he could go to the front of the store where they were stuffing that bus. I was on my way to Adoration. My rosary beads were in my pocket. I would say a prayer for this disabled Vet, this nameless man, but what more could I do? I had done enough. I watched the light turn green. But while I was playing the Pharisee, patting myself on the back for all the good I do, another voice was speaking gently to me, calling me, telling me to go to the man whose eyes I would not meet. I pulled into the intersection and turned my vehicle around, heading down the entrance ramp. The man should have stayed on my left, but he had picked up his chair/walker and began shuffling his way toward the parking lot. I drove toward where he met another man standing by a little, beat-up vehicle. The new man popped the trunk as I pulled into a space a few yards away still unsure of what I was to do. I sat awkwardly in the car, fidgeting, stalling and feeling a bit like a stalker as the two men talked and occasionally sent curious glances my way. I was uncomfortable. They would think I was stupid. I was sure of it. What kind of high and mighty person did I think I was approaching them? And for what? I had already spent all my cash. I reached into my car’s ashtray. There was $3 I had saved for emergency milk money. I had one more in my pocket: $4. That is all I had today. I wondered about the two suspicious men. What if they were scammers? What if they used the money for alcohol or drugs or something worse? What if they did not really need it? What if …? The what ifs threatened to take over but there was a quiet, gentle, “What if…?” I heard as well. What if the man did really need it? What if he did really need money for food, gas, kids? What if he is not a scammer? I thought of the rosary beads in my pocket, the ones I was about to use at Adoration. They were a cheap plastic set I had found the day before in an old pocketbook. I had other rosary beads. Did I need them? What good were they doing in my pocket? I opened my car door, fought down the uncomfortableness in my belly that told me I was foolish, and listened instead to the gentle, quiet voice. “Go.” I approached the man from the median without knowing what to say. He was still seated and I put my hand out and touched his shoulder, “Thank you for your service,” I said as I would to any of our nation’s veterans. His eyes softened and a spark lit inside. He put his hand out. I took it and we shook introducing ourselves. He was not unnamed at all. He was Anthony Monroe. Big Anthony’s hand was dark, smooth, cool and massive. It enveloped mine quickly and held mine with a tenderness that belied the giant man’s great size, stumbling shuffle and stuttered speech. We spoke for a few minutes. I told him I was a single mom of five boys on my way to prayer and that I would pray for him. I wished I had more to give him as I pressed the $4 and my plastic rosary beads into his hand. All doubt about Anthony washed away. I shook the other man, Peter’s hand. I could not read him when I looked into his eyes but hoped he was good to Big Anthony. I stepped back to talk with Anthony again. He told me he had four children. I did not stay long enough to learn more. I did not stay long. 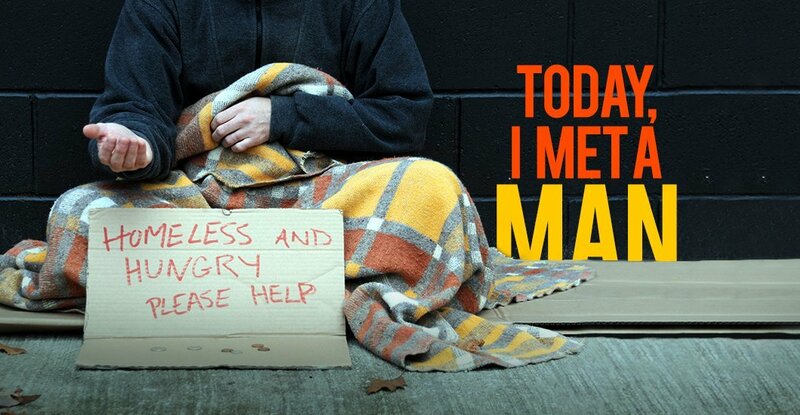 I left these two men who were so different from me in the parking lot, placing the chair and the sign in their trunk, Big Anthony leaning heavily on the car as he walked to his door. I drove off and entered the little chapel up the road. I knelt before our Lord and began the Sorrowful Mysteries of the most holy Rosary minus the beads I had planned to use. I wiped away tears as they fell. I am guessing there are some who would say I was stupid for approaching two men I do not know. I value myself enough as a creation of God to know I am expected to be careful, to treat myself well, avoiding unnecessary risks and respecting the dignity the Creator gives each of us. But it was daylight and the parking lot was populated. I am guessing there are some who would say I was naive and probably just got scammed and I know it is possible. The $4 I contributed is not going to make or break any addiction while I can hope that some part of the love I tried to show might if it comes to that. I am guessing there are some who would think I must have felt good about myself for leaving my comfort zone and making a little donation, but I felt no pride for having reached out. Instead, I found sadness, overwhelmed with disappointment. I knelt before the Cross praying the mysteries, reflecting on the first decade and Jesus’ time in the Garden. I did not think of how beautiful a garden should be but how it was such a place of pain for our Savior. At the fourth decade, I reflected on Jesus’ carrying of the cross and of how earth should be such a place of beauty yet is often such a place of suffering. I thought of how heavy are the crosses so many bear. I thought of Big Anthony and how, in my nervousness, I talked when I should have listened. I had pressed the $4 and my newly found rosary beads into his cool hand, but I should have stayed longer. I should have listened to his stories, taken some of his burden and invited him to join me in prayer, if nothing else. I thought of our veterans and how so many are hurting and alone. I thought of how much a single mom has to be thankful for that would not be possible without the sacrifice of those willing to give me opportunity and freedom. I thought of the trouble in our nation and how divided we are. I thought of how much good we could do if we looked into each other’s eyes, shook hands and realized each of us is named and called by God. I thought of how we look at one another with such suspicion, presuming others guilty without first seeking to know them. I thought of a Facebook friend who suggested we exchange news feeds so I could see her liberal view and she could see my conservative view. I had not written her back yet because I knew exchanging news feeds would not be enough. I was thinking of asking her to spend time with me and allow me the gift of spending time with her instead. Today, I realized that spending time with others needs to go far deeper than what I had thought of proposing. We are called to be the hands and feet of Jesus. We are called to live the Gospel and make a difference in this world. That is impossible when we see first with suspicion: when we see the veteran in the median as a scammer, a drug addict, a threat, when we choose the worst attributes and cast nets over the masses. I do not know if I made any difference in the lives of Big Anthony or Peter, but they made a difference in me. I am grateful for the few minutes in that parking lot and for how my views have deepened my certainty that we are called to reach out to one another. I am most grateful for the gentle whisper that told me to “Turn around. Go.” What a gift it was for me to get to meet these men, two children of God. How I wish I had been a better representative of His love for them. The next time I pull over to speak to a homeless veteran or another of God’s children, I will be more prepared. I may not have any money or may decide not to offer it even if I do, but I must offer to listen more, speak less and thank God for all His children. Listen for Him telling you to “Turn around. Go.” Seek out those who are different than you, those who are struggling and those who need to be shown true love. Offer God’s love both in prayer and in concrete ways. Big Anthony and Peter, wherever you are tonight, I am praying for you now and hope to listen to your stories when we meet again in Heaven one day. Thank you for a few moments of your time today.